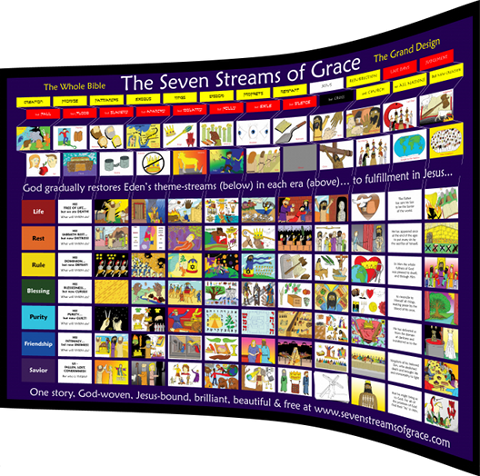 It shows how hundreds of Bible stories are actually scenes within great theme-stories that flow through the whole Bible. It unveils the coherence and beauty and genius of the very best book in the world.  Bible home-groups, Sunday School classes, home-schoolers and seminarians who want to see the biggest big picture of all. Third world pastors who can’t pay for classes - the poster is their bible degree (no kidding!). People who want to find sense and joy in reading the Scriptures. People who want to know God rather than 3 steps for the Christian life. Is this a poster or a curriculum? Yes, both! It can unpack to fill a library but the core all fits on a poster roll. 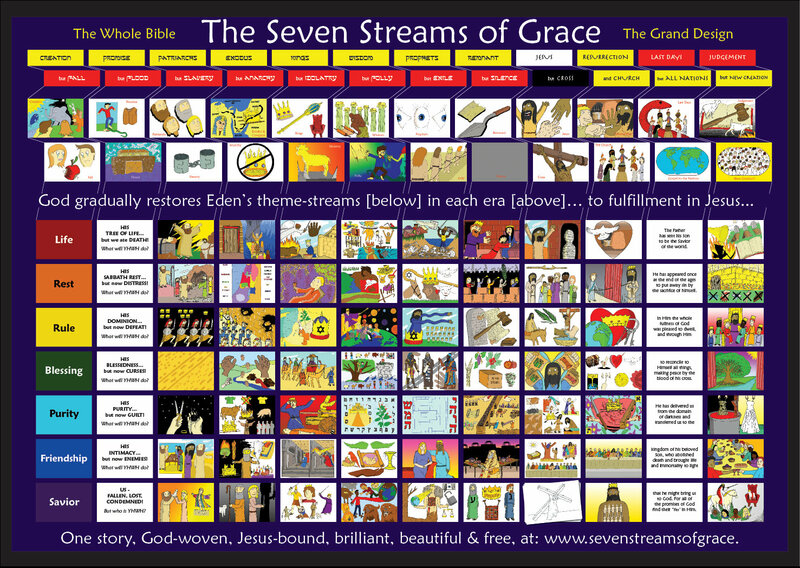 Teaching notes, handouts, posters and a book are free to download.